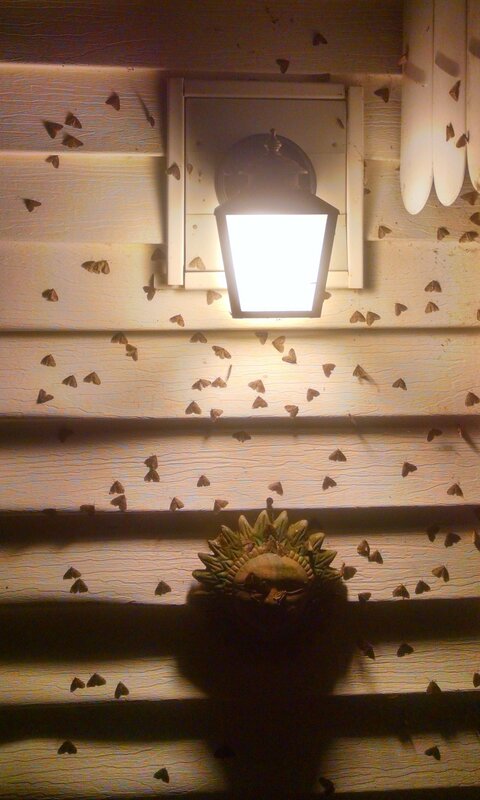 Perhaps you’ve noticed clouds of small brown moths fluttering or clustering around porch lights during the evenings recently. This is the adult stage of winter moth. Although the moth doesn't cause any harm while trees are dormant, during late fall and winter, the flight signals their mating season which results in defoliating caterpillars come the spring. Throughout Eastern Massachusetts, moths emerge from the soil from mid-November through January. Male moths are light brown to tan in color and often seen flying around lights. Females are gray, nearly wingless and emit a pheromone to attract males. After mating, females lays dozens of eggs, the adults die and the eggs over-winter until early spring. Egg hatch occurs when temperatures average about 55º F, which in Greater Boston is usually between late March and mid-April. This means eggs hatch coincides with bud break of most deciduous plants. After hatching, caterpillars feed on foliage of host plants. Larvae continue to feed as leaves expand and are capable of defoliating entire trees. At maturity, the pale green inch long caterpillars drop to the ground, pupate, and emerge from the soil as adult moths in mid-November. Winter moth caterpillars can defoliate a wide variety of deciduous plants putting maples, oaks, cherries, linden, ash, elm, crabapple, apple and blueberry plants at risk. Repeated partial canopy defoliation has been shown to cause tree stress and eventual mortality. So if you see the swarms of moths now, be prepared for defoliated and damaged trees in the spring. Damage can be managed, however preventative treatments require precise timing, beginning in early spring before leaf and flower buds open. Barrett Tree Service East chooses to uses effective bio-rational and organic materials, providing targeted insect control while minimizing impact to the environment. Parasitic flies have been released by the US Department of Agriculture in an attempt to provide a biocontrol for winter moth. This natural predator may ultimately prove to be effective; however it will take years for regional control and winter moth continues to spread. 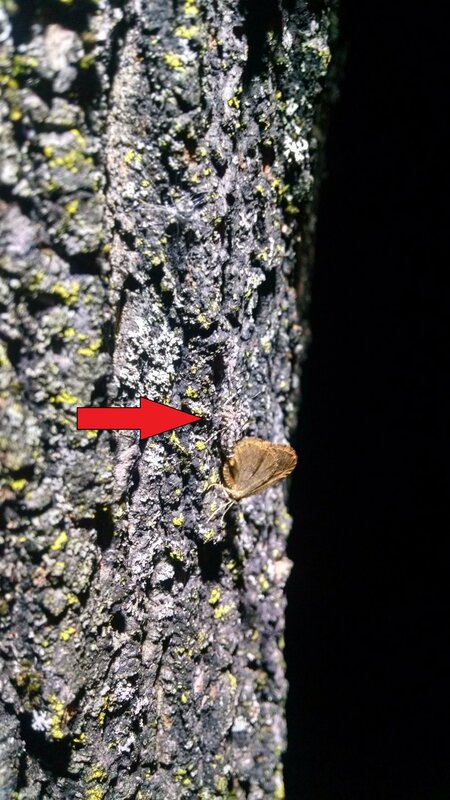 If you have seen evidence of winter moth (previous early season defoliation, green inchworms in early spring and summer or late fall/early winter moth flight), contact a Certified Arborist at BTSE to discuss strategies for protecting your important trees.